Income Tax is an unavoidable reality for the vast majority of the adult population. In fact, most of those who pay tax may not even notice that they are doing it as a result of the fact that they are taxed 'at source' using the PAYE system. As a result, many people are unaware of exactly how much they are being taxed, and at which point this taxation begins. In reality, both Income Tax and National Insurance Contributions (or NICs) are subject to a minimum income threshold. In practice, this means that the first portion of each individual's income is non-taxable. This portion is known as the 'personal allowance'. For the 2018-19 tax year, the basic personal allowance threshold is set at £11,850. It is important to note that this threshold is a level of 'total income'. This means that the figure relates not only to your salary and other 'earned' income, but also to 'unearned' income such as bank and building society interest. As a result, if you have a large number of savings or investment vehicles, you could quite conceivably find your personal allowances occupied before your salary has been factored in at all. It is also important to understand the principle of income limits. As is outlined above, age-related allowances are made available to those over the age of 65. However, these allowances are subject to income limits, which are currently set at £27,000 for 2014-2015 and £27,700 in the 2016 to 2017 tax year for for over 65s and over 75s. For the 2013-14/2016-16 tax year, the basic personal allowance (for individuals under 65) is also reduced if your income exceeds £100,000. For every £2 by which your income exceeds £100,000, your personal allowance will be reduced by £1. In these instances, the relief means that any interest paid on loans for these purposes is deducted from your total income for tax purposes. In theory, the Inland Revenue should give you your personal allowances by default. However, for various reasons this often does not happen. If you think that you have paid too much tax you need to get a copy of form R40 from your tax office in order to apply for a repayment. Obviously, if you are a Self-Assessment Taxpayer it is even more important that you are fully conversant with the schedule of personal allowances and available relief. @Dave - you need to contact HMRC in order to sort your code out directly, as you could end up paying tax when you shouldn't have to. Hi, My personal allowance is shown as £10600.00p for 2015 to2016. I am 68 years old & my current income is less than £15000.00p but my tax coding says that I am on a band that assumes I am on an income of over £27700.00p Will this fact have any bearing on the personal allowance I have been given. Thanks. I have inherited £75,000 from my mother's estate in the U.S. The estate did not qualify for inheritance tax In the U.S.I am a dual citizen and know I may be liable for US income tax, but should they not tax me would I be liable for UK income tax on that amount? @Dave - If you have sorted it out via the HMRC, and it has accepted your information then there’s not normally any tax to pay when you inherit. The only case where you may be liable is if the money, investments or other property you have inherited has ongiong income or gains then you will be liable for tax. I hope this helps. I have inherited some money from my parents estate for arguments sake £220000, i want to invest around £130000 in property to rent out, another £40000 on an extension, a new car and some preimum bonds for both myself and daughter. What are my tax liabilites. The estate due to circumstances did not quailify for inheritance tax although slightly above thershold (split equally between my brother and myself) This has been confirmed already by HMRC so ot is the personal libility i need to be aware of. My personal allowance and my blind allowance exceed my earnings. my other income is taxed dividends. 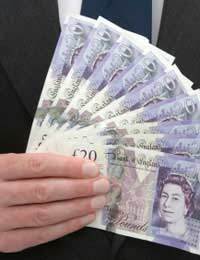 (£500). Do I have to set off £500 of my blind allowance to reduce the dividend income to nil as the tax credit already allowable from the dividend would reduce this liablity to nil and I would prefer to transfer this £500 portion of the hublind allowance to my spouse. Hello, do I take off my personal allowance when I calculate my self assessment, form, please help, because my earnings are below my allowance, I am so confused, do I write minus or .00 please help. It does not tell you this information anywhere on the short form. egturnover4000 expenses 2000 net2000 - personal allowance 7475 = .00 ? or -5475 for example if they do not auto read the minus I may be charged for tax that I do not owe. Please help, I am going round in circles.